Report: A Lotus Exige Rally Car? 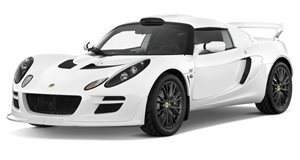 Lotus plans on building a rally car based on the Exige. The cars will be sold to private teams and should be ready to race in the WRC and/or the IRC by the 2012 season. According to various sources, Lotus is planning on building a rally car to compete in IRC and/or the WRC competition. Based on the Exige model (ironic, because the U.S. Exige is set to end production in August), rumor has it that at least 300 units will be built initially but that number could increase to 500 or 600 cars. They will be built to fit below the Super2000 rally class and be sold off to private teams. No specs or details have been given, however given the production version of the Exige S&apos;s 240hp combined with a 2,057 pound base weight it should be cut and look great with a nice rally trim. According to CAR, the new rally car is set to make its debut at the 2011 Frankfurt Motor Show. Lotus is planning to have them out and ready for the 2012 rally season. Having already teamed with Renault in F1 and competing in the GT class (7th place finishers at this year&apos;s Le Mans), a factory rally team would give them one of the broadest reaches in all of motorsports.